This archive shelving unit is made from commercial grade steel components that are incredibly strong and durable. Each archive bay comes with 24 cardboard archive boxes included, providing plenty of storage space for your files and folders. 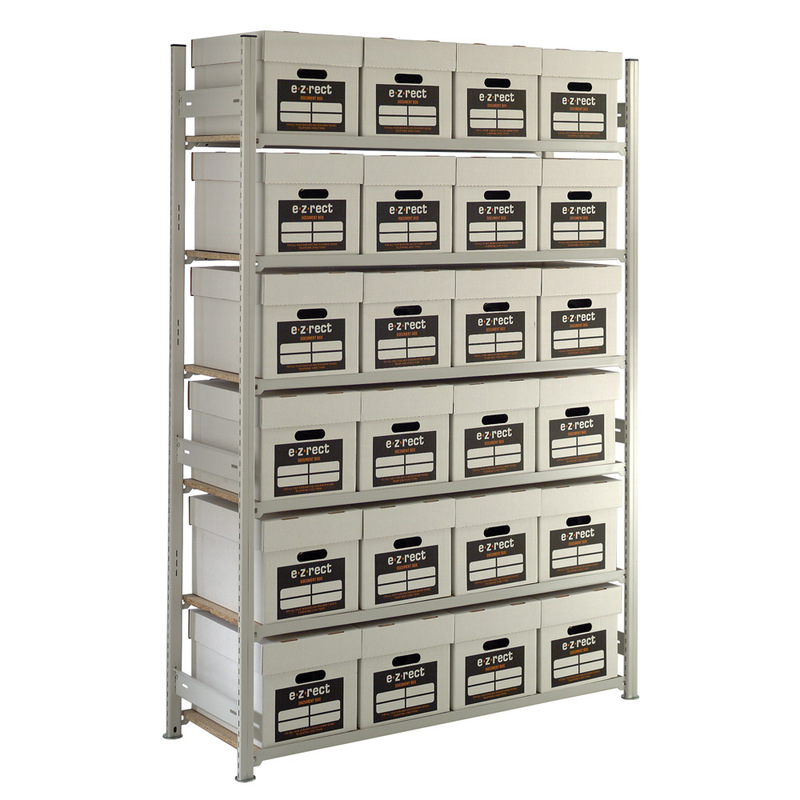 The E-Z-Rect Trimline system provides an ultra stable platform on which to store all your archived documents. 6 shelf levels are provided with good quality chipboard decks, because the boxes are not double-stacked you can easily access every single box without moving the others. Buy as a single full starter bay, then utilise the cheaper add-on units to create long connected runs of archive racking.